When it comes to responding to climate change, said Stacey Hooper, senior associate at NBBJ, architects have tended to be more reactive than proactive. "Our industry is so insular," she explained. "As a profession, we're really interested in the coolest, newest thing—not necessarily how we're going to support these bigger global challenges." Hooper had this in mind when she sat down with co-chair Luke Smith (Enclos) and the rest of the planning team to lay out the inaugural Facades+ LA conference, taking place in February in downtown Los Angeles. "We were talking about, 'Who are the influencers? '—not just in the building industry," recalled Hooper. "Where will real influence come from?" Hooper, who has practiced in California for more than a decade, includes government regulations high on the list of changemakers. "The state has been pecking away at energy consumption standards for 40 years," she noted. At the local level, Los Angeles has struggled to push through energy measures, water standards in particular. A representative from city government will deliver an introductory address on day 1 of Facades+ LA. "It seemed like a good introduction to a conference here to bring in a government body to talk about the necessity [of energy standards]," said Hooper. The tech industry has also made an impact, especially in California. "At NBBJ we see the influence of things like Silicon Valley; industry-driven change," said Hooper. "There's a need for high-tech workers, and they're being very demanding about what their environment is. That's a good thing because that demand drives change." Then there are the individual examples. Hooper mentions the Historic Green Village on Anna Maria Island in Florida, which achieved LEED Platinum and Net Zero Energy for its first 18 months of operation. "You have these smaller influencers that build into something big," she observed. "These are all great role models for the profession. The client is another piece of the environmental puzzle. Hooper recalls working on ZGF's Conrad N. Hilton Foundation building in Agoura Hills, California, designed to exceed LEED Platinum Certification. 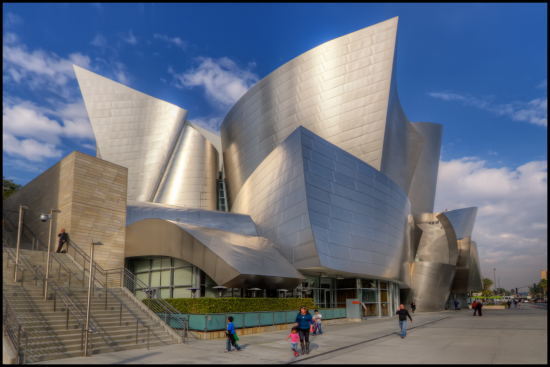 When the mechanical engineer told the team that direct sunlight could harm the building's passive mechanical system, the architects followed up with a series of digital studies before importing an exterior system from Germany. "That's my benchmark I'm thinking about now," said Hooper. "When I get asked, 'Where's curtain wall going?' I say, "'It's not doing enough; let's start thinking about things in a different way.'" Thinking about things in a different way is where the architect comes into the picture, said Hooper. "It's a great privilege and a real challenge," she explained. "You need to be able to leverage design thinking to really serve the environment, and serve humans at an individual scale. That's what I love about working on envelopes: it starts at this big citywide level, then it manifests in these finite details in our built environment." To learn more about Facades+ LA or to register, visit the conference website.